I am a interdisciplinary scholar of queer and feminist media and cultural studies with a focus on speculative fiction, digital media, and online fandom. I live in the Washington, DC area. Since August 2014, I have been a tenure track Assistant Professor of Women’s Studies at University of Maryland College Park, where I teach in the LGBT Studies program and am a core faculty member in the undergraduate honors program in Design Cultures & Creativity and an affiliate with American Studies and the Maryland Institute for Technology in the Humanities. Prior to taking up this position, I taught in the English department, Doctoral Program in Literature and Criticism, and Women’s Studies Program at Indiana University of Pennsylvania for two years. In 2012 I completed my PhD at the University of Southern California, where I was housed in the English department but worked mainly with faculty in American Studies, Critical Studies in the School of Cinematic Arts, and Gender Studies. I also learned a lot from scholars at the Institute for Multimedia Literacy. Before coming to the US for my PhD, I studied at the University of Edinburgh and the University of Sussex. I grew up in the city of Glasgow, Scotland, which I continue to love dearly and miss terribly. 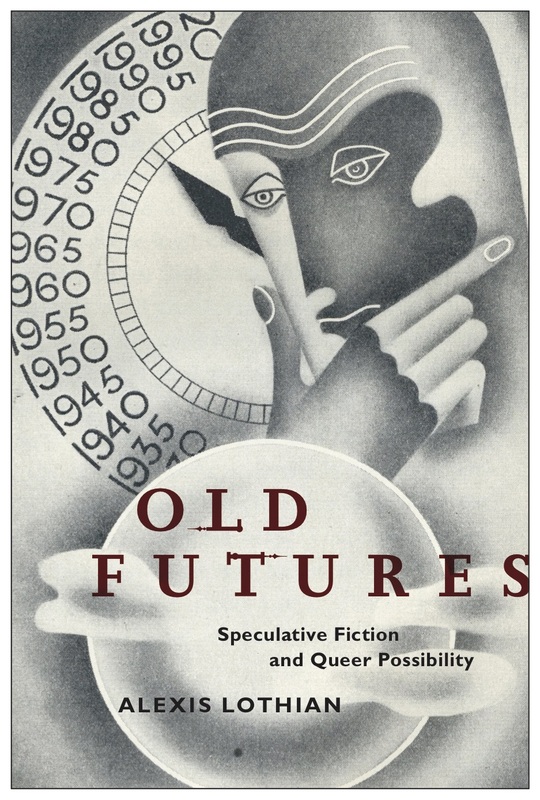 My first book, Old Futures: Speculative Fiction and Queer Possibility, is published by NYU Press (2018). I am currently working on a co-authored book on slash fan fiction and a monograph on critical and social justice-oriented fan cultures, and I also have research interests in the digital humanities. You can read more on my research page. I am a participant in feminist science fiction and media fandom, and I’m very interested in the ways fan communities engage in critical theorizing and activism (for example, through online discussion and fan video). I am a member of the organizing committee for the feminist science fiction convention WisCon, where I have previously co-chaired the academic track and currently serve on the anti-abuse committee. I am currently chair of the James Tiptree Jr. Award Motherboard, where I also founded the Tiptree Fellowships program and have served twice on the literary award jury. Between 2008 and 2010 I was part of the founding editorial team for the open access online journal Transformative Works and Cultures, which accepts work of interest to both academic and nonacademic audiences. My main role was to establish the journal’s Symposium section, which accepts work from both academic and nonacademic writers. I am still involved as a member of TWC’s editorial board and would be happy to talk about possible submissions for both the peer reviewed and editorially reviewed sections. Beginning in January 2019, I am co-editor of Ada: A Journal of Gender, New Media, and Technology. This site is a hub for my professional activities on- and offline, and also a place for me to raise questions about queerness, geekiness, politics, gender, race, capitalism, ethics, and scholarship. Like most things on the internet, these pages are a work in progress. My email address is alothian at umd dot edu. I use she/her pronouns. I saw this and thought of you. I hope you are well.